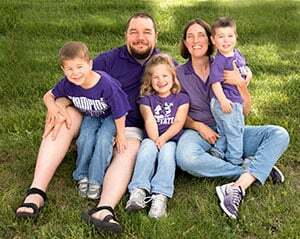 Are you a frugal person who loves getting a deal, but doesn’t necessarily love frugal living to the point of couponing and trying to strategize to get the most out of a sale? I hear you. My time is limited and worth more than the savings I can potentially get from those things. That doesn’t mean there aren’t other ways to save money that could have a bigger impact on your bottom line. That’s why it pays to shop around and negotiate. I know, negotiating can seem scary and you might think it makes you look demanding. Unfortunately, most people aren’t going to freely hand out discounts – you have to ask for them. At the end of the day, aren’t the savings worth it? I think so. 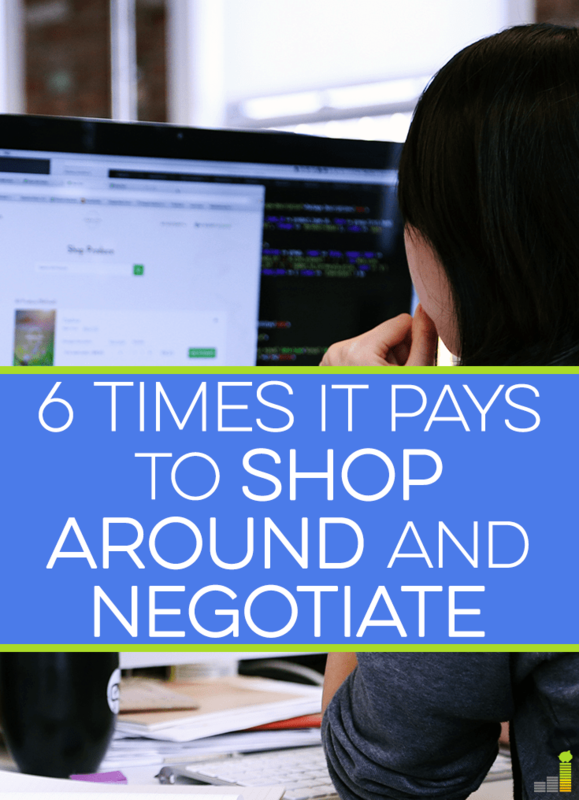 Consider these instances when it pays to shop around and negotiate. One of the most obvious times to shop around is when you’re looking to get work done on your home. No one I know would ever go with the first contractor’s price; you always get another quote. 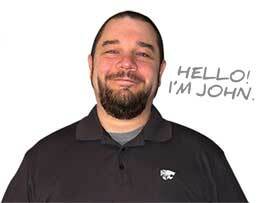 When I got some work done on my house, adding gutters, I shopped around and it saved me $300. I called and got estimates from three different companies and then chose the one that had the middle bid, not the lowest bid, because I wanted quality work but didn’t want to pay more than necessary either. Sometimes the middle ground is better than choosing the cheapest option. I really liked the takeaway here. I think we all know it’s foolish to automatically go with the cheapest option, even though it’s tempting. You want to get the best value for your money! Lesson learned: Always get multiple quotes when you’re having work done on anything. Don’t go with the first price you’re quoted. I think just about everyone negotiates at the car dealership or when they’re trying to buy a car from a private owner. There’s no reason not to. I went through this experience recently. My fiance and I didn’t need a car immediately and we were able to walk away if we weren’t happy. Having that upper-hand is powerful. Both times we left, the salesmen came after us saying they could lower the price. This concept might seem strange – normally when you’re negotiating, don’t you need to make valid points as to why you deserve a lower price? That’s what I originally thought and why I was nervous to try it. But certain industries simply accept it as a part of doing business. Lesson learned: Depending on what you’re negotiating, people expect you to avoid paying full price. Don’t be afraid to ask what it will take to make a deal work. When my dad lost his job years ago, my mom dutifully called each and every one of their creditors to see if she could get a lower interest rate. Success rates vary from person to person and company to company, but my mom managed to get one of the rates lowered from 16% to 11% (yikes!). She stated the facts: they had never missed a payment, they had been customers for the past 25 years, and things were tight. She then asked if there was anything they could do to make the payments more manageable. Knowing how credit cards make their money (on interest rates charged on carried balances) my mom wasn’t sure they’d spring for it, but then she realized that they don’t make any money when people stop paying, period. Lesson learned: Some creditors are willing to help you out in a bind. It never hurts to call and communicate with them, especially if you’re in danger of missing a payment. When our lease was up in April, we received a notice stating our rent would be going up by $40. Considering the many issues we’ve had with our apartment complex, I figured we had a little leverage. We’ve never paid late, we’re good tenants, and we had been unhappy with the level of service received on almost every single maintenance issue we’ve reported. My fiance went down to the office (he’s the primary leaseholder) and told that to the property manager, elaborating on the service problems. They said they’d look into it. The next day, they came back with a $20 increase. But hey, that’s $240 we don’t have to shell out over the course of our lease. Lesson learned: Everything is negotiable, and I’d even recommend trying to negotiate from the get-go if you’re shopping around for an apartment. When my parents retired, they moved to a new state and left all of their old furniture behind. That meant they needed to furnish the entire house they moved into. My mom isn’t afraid to ask for discounts, so when they were shopping for furniture, she made it clear she wanted a deal. They didn’t pay full price for any of the pieces they got, and she got a free item. She jokingly asked if they could throw in the end tables and lamps, and the salesman actually went and asked his manager about it. While they only got the lamps, free is free, right? Lastly, because they were paying in cash, the normal delivery charge was dropped. Lesson learned: When you have a large order, you definitely have room to negotiate and it doesn’t hurt to get friendly and ask for bonuses. Paying cash usually gives you an advantage, too. Ever thought about shopping around for medical-related things? I have compared prices on getting lab work done. I looked into my local hospital and labs to figure out who had the lowest fees when it came to doing routine lab work. Then based on that, I decided where to get it done. Doing that can save you hundreds of dollars each year. I don’t know about you, but I’ve never thought about doing that! Just goes to show you it pays to shop around no matter what services you need. I’ve been a big fan of comparison shopping for eyewear, especially after I paid somewhere close to $300 for Coach frames when I was much younger. (Oops.) Contacts can be fairly pricey through your optometrist as well. Ordering contacts online was a breeze (rebates are still available), and there are so many websites offering frames and lenses for less than what you’d pay at the office. Take advantage and shop around at sites like Discount Contact Lenses or 1-800Contacts if your insurance is lacking. When my mom needed to get major dental work done, she ended up going to a school of dental medicine. It was much cheaper than a regular office, but still offered quality service. It’s almost the same concept as going to a beauty school to save money on haircuts. Lesson learned: It pays to shop around for the things for which you don’t often question paying full price. When people say, “Everything is negotiable,” for the most part, they’re not lying. I’m not saying you should be unreasonable and negotiate at every turn, but if you think you have a valid reason to ask for a discount, then do it! Just be polite; never be demanding. Shopping around is another simple way to pay less. Ask around for recommendations, or use price comparison tools to cut down on research. It’s good to know who has the best deals! When have you shopped around or negotiated on something? Where are the biggest savings to be had? How do you save money when you’re pressed for time? Whenever I and my wife shop around, I always ask my wife to negotiate because she has some kind of charisma and most of the time she gets the deal she set. That’s why I am trying my best to get that charisma so that I can make salesman agree to my deal, Erin. Ha, that’s a good point, Jayson. My mom always handled shopping around as well, and I tend to be the one asking for a deal. I always call the billing company before paying a medical bill. Usually, I get a 15-30% discount just by paying in full. Anytime my insurance (of any type) increases, I start shopping around. You can sometimes see huge drops in your bill by shopping around. Nice! I agree, you might as well shop around if your rate rises. You never know how much you can save, and even if you do have the best deal, you have the comfort of knowing you’re not getting ripped off. When we used to rent, we would negotiate every time our lease was up. We were great tenants and paid on time, so they didn’t want to lose us. Living in NYC, there is a lot of demand and rent increases are the norm…but they’d always reduce the increase like your landlord to keep us there. And as for furniture…they are always marked up so there is room to negotiate. I’m a bad negotiator and I kick myself for not trying to get an even better deal when were bought furniture. I’m glad to know someone else has had experience negotiating their rent! And in NYC, too. Yes, one of the biggest regrets I have is not negotiating the price of my bed when I bought it. I wasn’t as financially savvy back then. They messed up on the pricing twice (requiring me to go back) so I had a pretty good reason to ask for a discount, too. I definitely won’t make that mistake next time. Great ideas. There are definitely times when it’s worth the time to shop around and negotiate, and other times when it’s not going to make a big difference. I was able to save 30% off my hospital bills for childbirth & newborn hospital stay by calling around and switching hospitals. That one comparison saved us about $1000! Wow, 30% is definitely worth it! It seems like whenever medical bills are involved, it’s very much worth trying to negotiate or find someplace that’s cheaper (but still quality). Thanks so much for the mention Erin! Even though I shopped around for my home improvement project, I could still do a better job of comparing rates and negotiating on other things in my budget. Thanks for contributing! 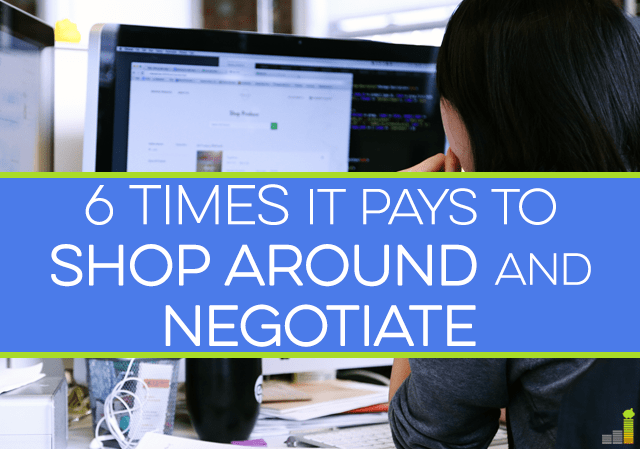 I’m sure there are a lot of us out there who could negotiate and shop around more. I’m thankful there are more and more tools coming out that help make the process easier. Just recently I went through this process with contractors for a new entry door and storm door. I threw out the crazy low and high bids, and negotiated down one of the middle ones. I’ve also had good experiences negotiating on cars and furniture sets. These are all good examples of times when negotiating will get you big gains, and if you don’t ask, you’ll never know. Thanks for sharing your experiences, Gary! Sounds like a great method. That’s why getting multiple quotes is so important, otherwise you would have never known those other bids were super low/high!